A classic story penned by a very well-known author, first published in 1968 and still it took me so long to read it. It was a simple coming-of-age story, written in a very original style. It can be called an introspective book. It was also a book strangely devoid of stronger emotions. The whole story of Ged was told in such a way that it seemed to me a parable, not a story. There are no interesting personalities or relationships in this book, no adventures, just a very, very dry, almost didactic, quest. Don’t get me wrong – the tale wasn’t bad on the intellectual level but for me, without all those emotions, it was a bit underwhelming. Nothing drew me in and caught my imagination. After a while, I stopped caring. What can be said about a classic book which simply didn’t work as well as it should? Only this: not all books that appears to be on everybody’s reading list must necessarily be good for you, sad but true. 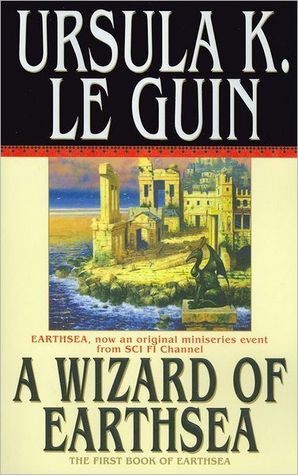 This entry was posted in book review, fantasy, meh, rating and tagged earthsea cycle, meh, reviewing a classic, series alert, Ursula K. Le Guin. Bookmark the permalink. Invest never been a fan of this author for the same reasons and honestly do not get why her books are so popular. Oh well.